The Loopits Organizing Band by Quirky holds everything on the wall ranging from a cooking spoon to shampoo. The rubber bands come in a set, which contains three long and three short bands in different colours. In the study, the bands hold the pens near the desk, in the kitchen tongs and spoons have a safe place and in the shower your shower gel and shampoo is always at hand. The brackets allow to be fixed by glue or screws depending on the surface. 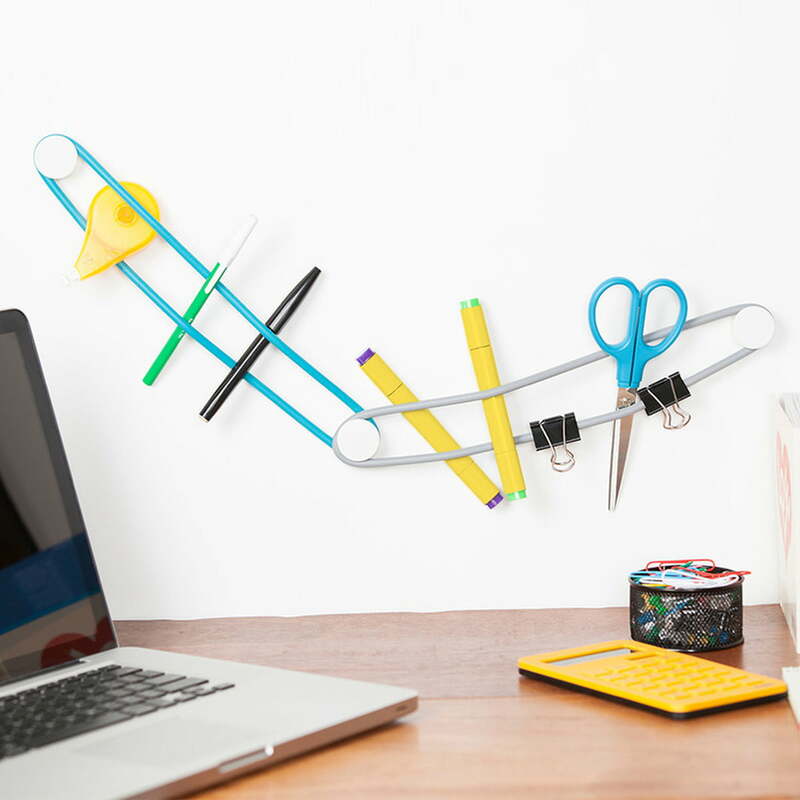 The Loopits Organizing Band by the manufacturer Quirky holds everything on the wall ranging from a cooking spoon to office supplies to shampoo in the bath. 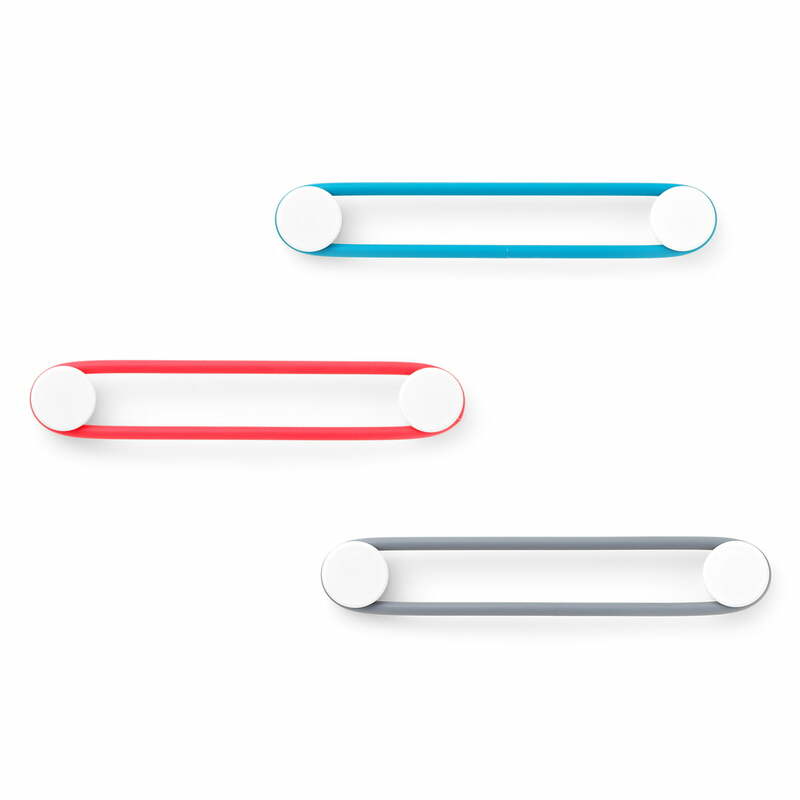 Product view of the Loopits organizing bands by Quirky. The rubber bands come in a set, which contains three long and three short bands in different colours. Ambience view of the Loopits organizing bands by Quirky. In the study, the colorful bands made of rubber coming in various colours, keep the pens near the desk. The shower gel is at hand in the shower. The Loopits organizing bands by the manufacturer Quirky allow to be fixed by glue or screws depending on the surface. Ambience view of the Loopits organizing bands by the brand Quirky. 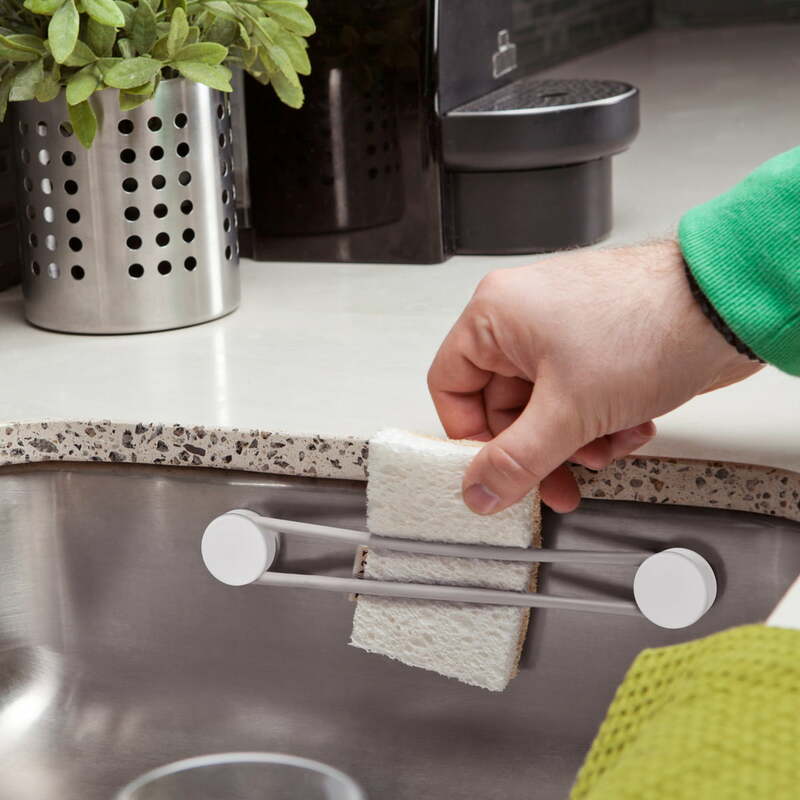 Also in the sink, the rubber band holder can be attached so that the sponge has a place.